If you’re heading down to Artwalk this Friday, November 11, we hope you’ll stop by Firehouse to see new works by local artist Camille Hunt. Camille graduated with a Bachelors in Fine Art from OleMiss and has recently moved to Bologna, Italy, to further her art. 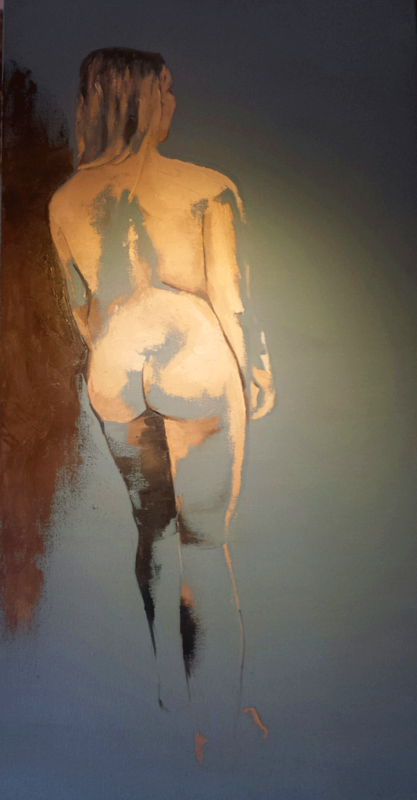 She concentrates on figure painting as well as skylines and abstract pieces. In addition to Camille’s work, Firehouse is also featuring a series of abstract impressionist pieces by local artist Jack Rogers. Inspired by the surrounding nature, Jack has been drawing all his life. His latest series of acrylics capture the colors and textures of the coastal region.